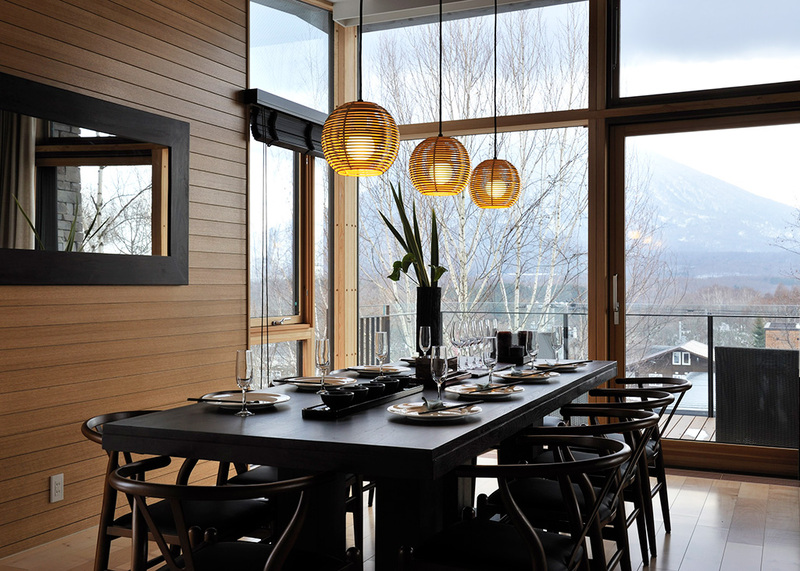 With its six bedrooms over three floors accommodating up to 17 guests, Kasetsu is an impressive modern chalet in the quieter Lower Hirafu Village, just a short walk from the nearest ski-lift or a shuttle away from Niseko’s nightlife. Smart and sophisticated, Kasetsu, features three en-suite, one shared, and one separate bathroom. The Master Bedroom boasts a Japanese Onsen bathtub, double vanities, and a balcony. One room features two bunk beds, perfect for four kids, and the chalet also has a traditional Japanese Tatami room with three futons. The open-plan living, dining and kitchen area is a grand space with 9-meter high ceilings and a vast balcony, letting in lots of light during the day. 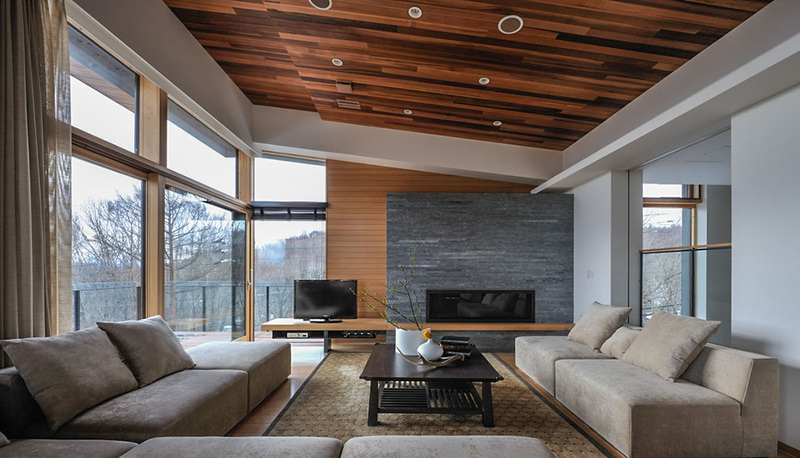 In the evenings, the soft sofa and long, uber-cool ribbon gas fire on black coals, and flat screen TV create a sleek and cozy space. The wooden ceiling adds extra warmth too, while the Western kitchen with its five-ring gas hob is perfect for rustling up family meals with seating at a long dining table or breakfast-bar island. Kasetsu has a ski dry room as well as a media room with flat screen TV and is a contemporary stay with classic mountain views. We take the security and safety of our hosts and guests very seriously. We strongly recommend that you secure a holiday rental insurance when you book one of our chalets. During the booking process, you will be asked in the form whether you opt for insurance or not. Read more about Insurance Policy. Complimentary hand soap, body soap, shampoo, clothes detergent, dish detergent, and sponges. Read or download Terms & Conditions of Kasetsu.